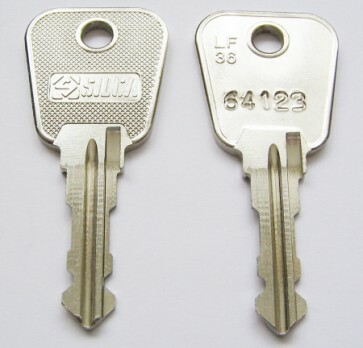 Thomas Locksmiths are one of the leading suppliers of replacement keys to code. Our dedicated in-house locksmiths are able to cut and dispatch keys the same day. If there is a number on the lock, it is most probable we can supply keys to fit. Furniture Locks, Desks, Garage Doors, Classic Cars, the list just goes on. Hafele, Henderson, Las, Lowe & Fletcher, Roneo, Ronis, Triumph, Union, Vickers, West Alloy, WSS, Yale.